Why Did We Homeschool Our Children? We were home schooling when nobody was homeschooling. We started with our firstborn son in his kindergarten year, 1980–81. It started out as a matter of convenience but soon grew into a conviction. Close to 40 years later, we have never experienced a moment of doubt as to our choice. That little boy in kindergarten is now a college graduate, a lawyer and a married man with five children, all of whom he and his wife plan on teaching at home. He is also the eldest of our fourteen sons and daughters. His younger siblings, some of whom are also the parents of our 16 grandchildren, are homeschooling as well. Obviously, our children are as pleased as their parents are with the method of education we chose. 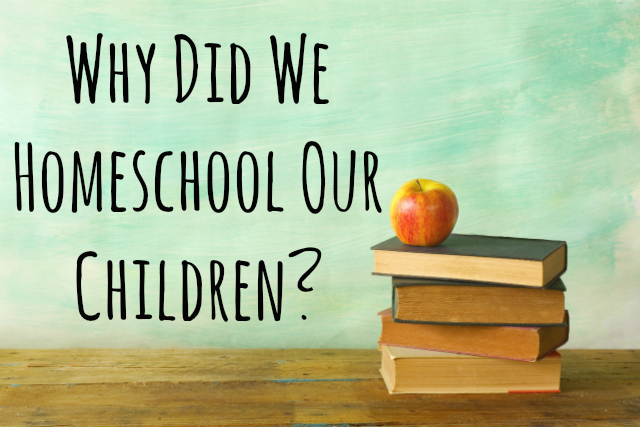 Over the years, of course, curious people have asked us why we made the decision to begin and continue homeschooling our children. There are many reasons we love it, but for the sake of brevity I’ll share just a few here. As I said in Part 2 of this series, homeschooling really took off and began to grow. We had a meeting in our basement helping others get started, but all over the country the same thing was happening. It wasn’t long before groups formed and homeschooling conventions, though really small at first started to spring up. We had a lot of people asking us questions. We began to get some speaking engagements. People wanted to know why we focused on character building in training our kids and how we did it. “What about socialization?” was a big concern for many. We tried to answer questions, but soon forgot what we had told to who. Hence, our first book was The Socialization Trap. We wrote it because of the growing concern in the country. State homeschooling groups continued to emerge, and we started getting more requests for speaking. It wasn’t easy to travel with so many little ones still at home and more on the way, but we really felt God was calling us to encourage other parents. Hence, The Learning Parent was born- our ministry of parent encouragement. 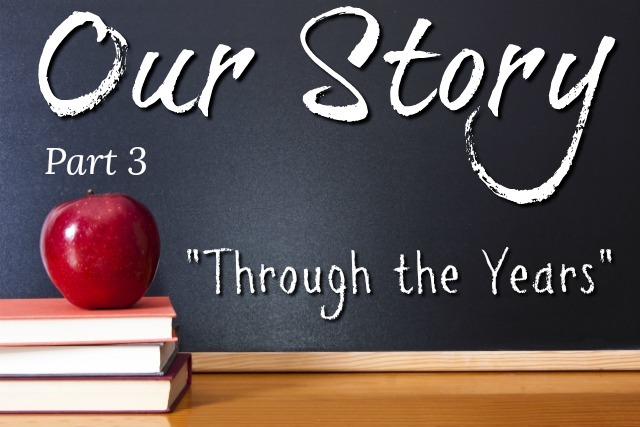 We told others how we taught our kids, and as the years went by people asked if we could make materials available so they could glean from our experience and teach character to their kids as well. So we began producing character curriculum. Now, The Learning Parent, has produced a whole line of character curriculum and we call ourselves Character Concepts and provide curriculum from preschool through high school. Anyway, I thought it might be kind of fun to give you a visual picture of how things developed through the years through a timeline. I’m sure I’ll leave out some important details, but I hope you enjoy taking a peak at the Boyer family – then and now.